Orchrd premium wooden sunglasses make the perfect, eloquent accessory to adorn your face and shelter your eyes from harmful UVA and UVB rays. 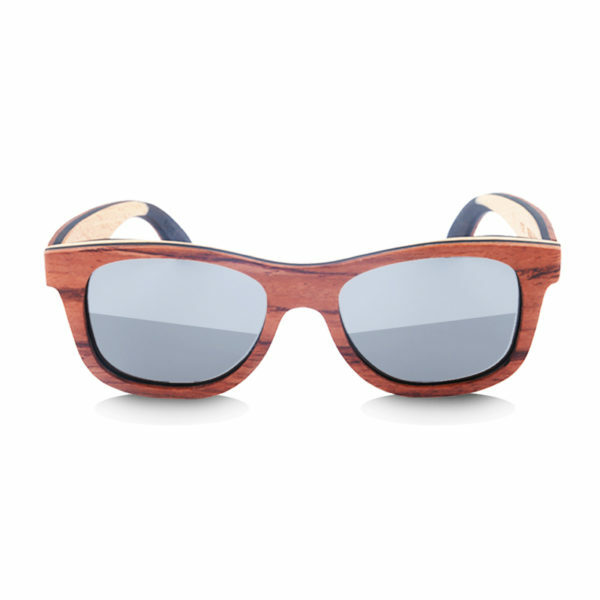 This pair of hand-crafted Canadian maple wood sunglasses are complimented by grey polarised (polarized) and UV400 lenses. These sunglasses are size M (Medium). AND.. Because of the high quality spring hinges, that allow the arms to comfortably widen, these sunglasses are sure to fit well! 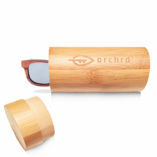 Whats in the bamboo box? Please note that due to the small parts item must be kept away from young children. Due to the nature of a natural and hand crafted product small defects can be present. However, we do check every single pair for anything we wouldn’t be happy with before dispatch. 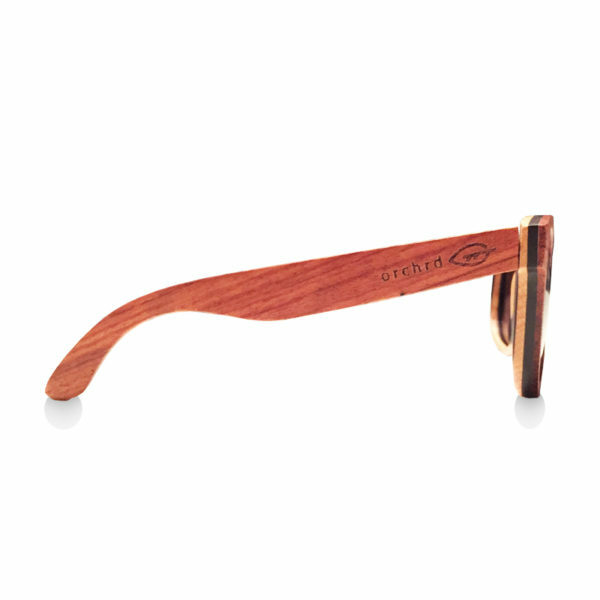 Our Eye Wear is extremely carefully crafted, but we recommend that care is taken to not scratch or excessively rub of the finish of your new sunglasses.